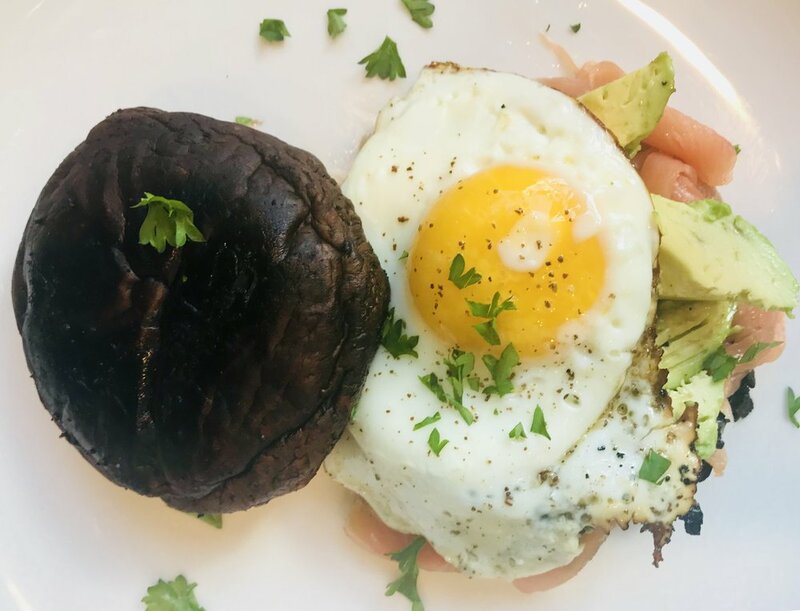 This fried egg, smoked salmon and avocado sandwich on a grilled Portobella Mushroom is a delicious and healthy way to enjoy an egg sandwich without any refined carbs or processed ingredients! 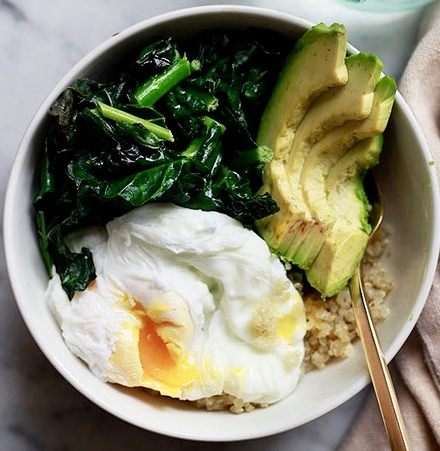 Perfect for a nourishing weekend breakfast or substantial lunch that you will love! In a large skilled (I love a cast-iron skillet for this recipe) heat olive oil over medium heat. Add mushroom caps, round side up, and cook for about 5 minutes. Flip mushrooms over, sprinkle with salt and pepper and cook for another 5 minutes. Remove mushroom caps from skillet and place on plate. Lay sliced salmon on top of one mushroom. Then add sliced avocado on top of salmon. Crack egg into skillet and fry until desired doneness, edges are turning brown. Remove egg and place on top of avocado. Place remaining mushroom cap on top. These delicious tasting pancakes will be your new favorite breakfast! They are a pre/post workout favorite or a Sunday brunch staple and the best part is they are completely guilt free! If you like your pancakes very sweet, feel free to drizzle more honey or maple syrup on top! Place peeled bananas, eggs, vanilla, cinnamon, 1 tsp. coconut oil, butter or ghee, maple syrup or honey (optional), sea salt and baking soda into a blender. Blend until batter is smooth. Heat a skillet or griddle over medium heat and grease with remaining 1 tsp. coconut oil, butter or ghee. Reduce temperature to medium-low heat and pour the batter in small pancake circles. Cook until firm enough to flip (approx. 1-2 minutes), then flip pancakes and cook the other side and remove from heat. Top with chopped fruit and walnuts. 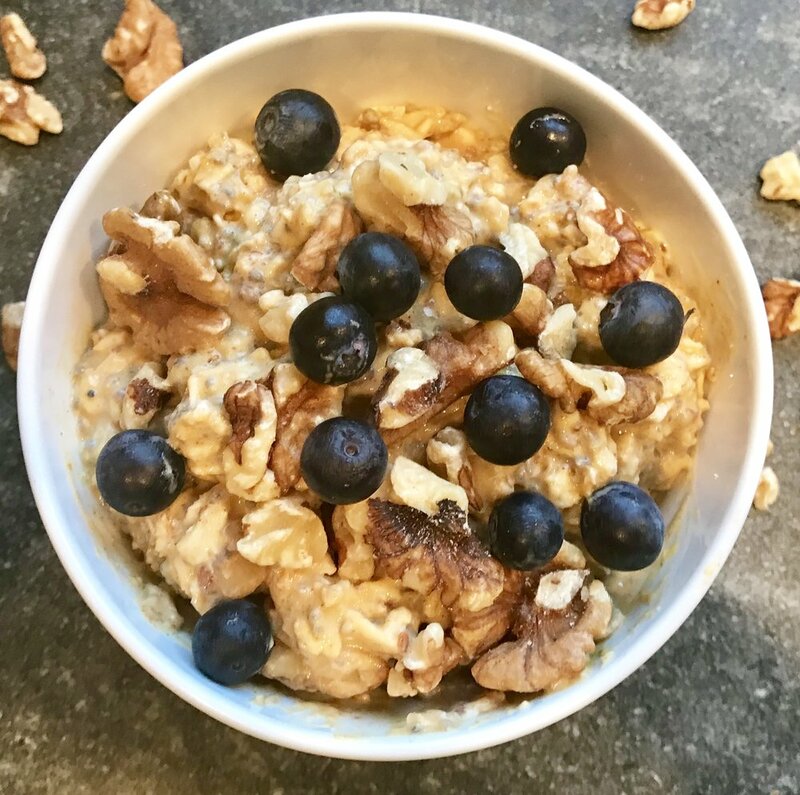 For those who enjoy an easy no-cook overnight cereal, you must give this a try! Mix a jarful of yumminess up at night for a filling and healthy breakfast at-the-ready. The groats absorb the liquid yet maintain their slightly crunchy texture, making this a perfect option for those who find oats a little too mushy. Buckwheat groats are nutrient packed, gluten-free seeds that are so good for you. They are a good source of fiber, protein, rich in vitamins, minerals, amino acids and anti-oxidants providing several health benefits, including lowering inflammation, improving digestion, blood sugar control and improving heart health. Most packaged groats do not require rinsing but if purchased in bulk section then rinse groats under water to remove chalky coating. In a glass jar (I use a wide mouth mason jar) combine groats, chia seeds, cinnamon, vanilla and honey. Stir in the milk, and then cover and refrigerate overnight. Sprinkle with hemp seeds, coconut chips, pumpkin seeds, strawberries and blueberries or any other desired toppings of choice. 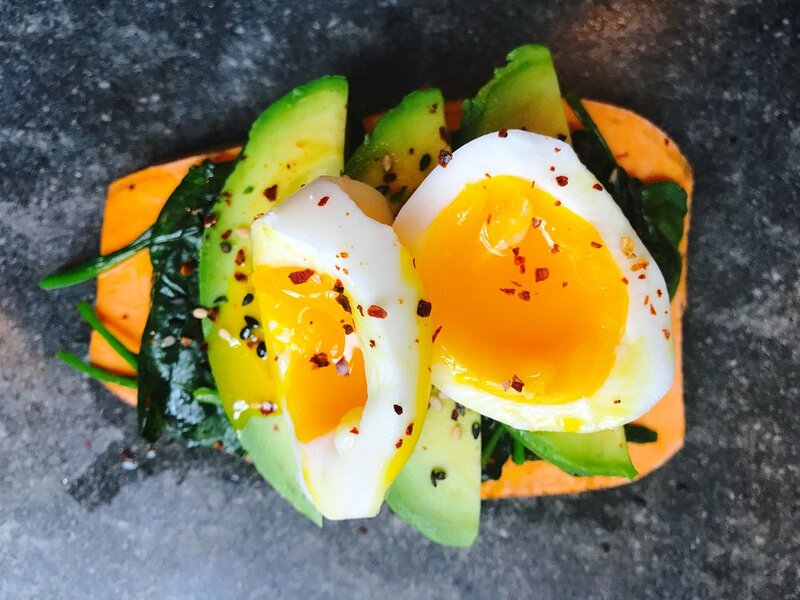 These egg muffins are the perfect way to start your day but they can easily be eaten for brunch, dinner or as a snack! They are packed with protein and contain a little bit of almost every nutrient we need. The difference between the two egg muffins is for one I just cracked the egg right in the muffin cup. These are perfect if you like a more “soft yolk” or a 7 minute egg. The other one is more like an omelet consistency in which I whisked the eggs first and then poured them into the muffin cups. My daughter loves the first one and my husband prefers the other. I love them both! 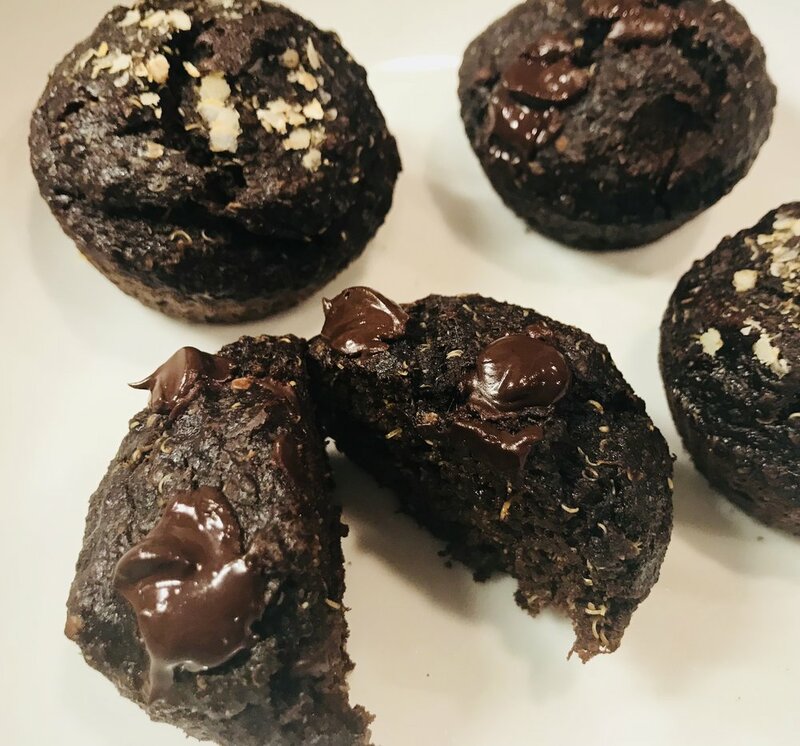 You can make these muffins at the beginning of the week, store in the fridge or freezer and then just reheat throughout the week! Grease 12 muffin cups with coconut oil or ghee or I love these silicon muffin cups. You don't need to grease them and the muffins come out very easily. Cook bacon in frying pan and then lay bacon in each muffin cup, push down or tear into large pieces. For “soft egg” crack an egg in each cup. For omelet style whisk eggs in a bowl first and then pour evenly in each muffin cup. Distribute asparagus and avocado pieces throughout each cup. Leftovers can be stored in the fridge or freezer and reheated to use throughout the week! A smoothie bowl is one of my favorite breakfasts and is super easy to make! Using frozen ingredients and as little liquid as possible gives it a creamy, ice cream-like texture. This nutritionally dense smoothie is packed with tons of greens and the whole food toppings make it a filling, complete meal! Pour half of your smoothie into a bowl and top with desired toppings! Freeze the remainder and the next morning just re-blend the frozen smoothie, pour into smoothie bowl and add your favorite toppings! Despite their tiny size, chia seeds are among the most nutritious foods on the planet. They’re loaded with fiber, protein, Omega-3 fatty acids and various micronutrients. My favorite way to eat them is to make a delicious and easy chia pudding. Stir together all ingredients and refrigerate for up to 4 hours or overnight.